Do you intend to continue with the GLA’s RE:FIT and RE:NEW energy efficiency programmes? How effective do you understand the programmes have been? I intend to continue with homes and buildings retrofit programmes. But to achieve my ambitious target of becoming a zero carbon city by 2050 we will need to rapidly increase the pace of retrofitting, so I am currently exploring what more can be done. February 2016: The Greater London Authority (GLA) has asked me to post the following online: “a new opportunity for interested contractors to be part of a new framework on Decentralised Energy (DE). The Mayor of London has set a target to meet 25% of London’s energy supply from DE by 2025. The DE Capacity Study (GLA, 2011) confirmed this target as being achievable based on both renewable and low carbon energy sources and that it represented an £8 billion investment opportunity. The development of DE projects through the various phases to market requires significant resource and a diverse set of skills, knowledge and expertise. These elements combined with the risk profile of the project development phase act as real barriers for both public and private sector organisations. Since 2011 the GLA has been supporting others to identify and implement DE projects through various programmes. Energy for London will be delivered by the GLA and will procure and direct technical, commercial, financial and other advisory and support services to help others develop, procure and bring into operation larger-scale DE schemes that deliver significant CO2 reductions at market-competitive prices. A principal risk remains timing because the type of licence application is new to all parties and therefore timing remains difficult to predict. There is strong government support for the Mayor’s Licence Lite project. In May 2014 Matthew Pencharz and a GLA officer attended a round table discussion on licence lite chaired by the Secretary of State for Energy and Climate Change, Ed Davey to discuss progress of licence lite. A detailed draft economic model has been prepared in consultation with Transport for London, with whom discussions are in train for the purchase by it of electricity supplied from decentralised energy systems by the GLA under its licence. The financial outcome of the model is positive, but cannot be confirmed until tenders for the provision of the market services have been received from tenderers who have responded to the preliminary questionnaire during August of this year. Selected London boroughs have been briefed and provisionally identified the electricity capacity best sold under licence lite, together with other suitable public sector electricity generating capacity in London. The objective is for submission for a Mayoral Decision to approve the grant of the licence to the GLA by Ofgem and to approve entering into the necessary contracts to enable the project to proceed to completion in October 2014. Subject to that, the licence may be granted to the GLA in November 2014, operations commencing in April 2015. There are “inconsistencies in government’s energy policy and regulatory regime that are preventing heat generation and distribution in cities” which “…distort the market for heat by providing external financial support for some technologies, while largely ignoring heat networks“. We estimate that London housing development will generate at the very least £25m per annum under the proposed Allowable Solutions regime – by far the greatest amount of any region. Yet, because measures are likely to be cheaper outside London, London businesses and households will again be subsidising other regions and receiving less investment into low carbon, heating bill reducing measures. In addition, as Allowable Solutions investment is likely to lever ECO investment, there is a risk that the proposed scheme will exacerbate the imbalance in ECO investment away from London. The Committee’s evidence gathering process continues in November – more of which can be found here. October 2013: In the most recent of his weekly columns in the Daily Telegraph, the Mayor relates a story of a meeting he had with Labour leader Ed Miliband a few years ago, when Ed was the Secretary of State for Energy and Climate Change. The Mayor’s account is in part a response to the announcement Mr Miliband made at last week’s Labour Party Conference that, if Labour were to come into government after the 2015 general election, they would enact a 18 month ‘energy price freeze’ on energy company tariffs. The Mayor account prove interesting reading: “I don’t think I have ever told you about my last official meeting with Ed Miliband. I must have somehow blanked it out, as one of those experiences that is just too harrowing to relate. It took place a few years ago, and my City Hall team was very excited in the run-up. We had an absolute corker of a plan, you see. We had the spreadsheets, the data, the options – and all we really needed was for Government to get behind it, and make sure that London got its fair share of the funding. “We were going to launch a huge drive to improve the energy efficiency in the capital’s homes. We were going to hit all sorts of nails pretty smartly on the head: we were going to cut CO₂ emissions, and thereby stop the polar bears from plopping off the ice floes. We were going to cut NO₂ emissions from our noisome old boilers, and so improve air quality. We were going to help get thousands of people into work as retro-fitters – people who went around helping to insulate homes. “As I told my team during the preparations, Britain might be lagging in some respects, but once our programme was under way we would certainly not be lagging in lagging. Above all, we were going to achieve the number one objective of the scheme: we were going to help cut the cost of heating people’s homes and help stabilise fuel bills. “I was interested in the plan as a way of helping the planet and helping people in tough times. As for Ed – well, it was, frankly, a bit disheartening. He wasn’t remotely interested. He didn’t want to talk about retro-fitting and, as I gabbled away about a new legion of “boiler bunnies” bouncing up to your door, I was aware that a deep tranquillity had settled on the minister. A further response has been posted by online news journal Carbon Brief. 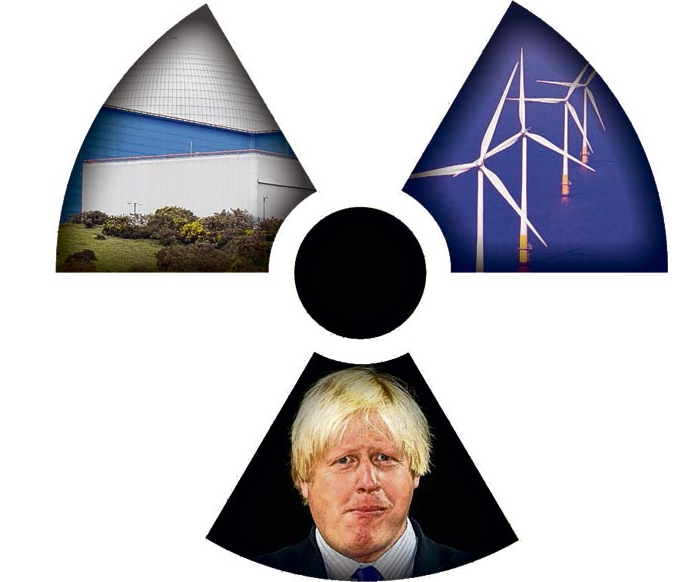 Echoing comments in the earlier post on this site on the timeframe to bring in new nuclear and fracking sites, Carbon Brief provides a detailed response to the Mayor’s vision setting out that “Boris’s energy policy quick fix will take a decade to kick in“. 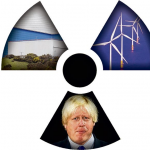 The Mayor continues in a similar vein in the article (also reported here ‘Boris on our ‘pathetic apology’ for an energy policy‘) railing against wind turbines – echoing views from a radio interview he undertook on LBC earlier this year (Wind farms couldn’t pull the skin off a rice pudding, says Boris Johnson). ” Sir, Many people have not yet woken up to the reality that the population of London is now growing faster than any city in Europe. As I make clear in our 2020 Vision, this demographic explosion is placing huge demands on our infrastructure — including power generation. It is a tragic comment on Labour’s failure to plan ahead that in only two years our electricity capacity headroom (the difference between demand and supply) will be down to 2 per cent. We will have to ask some of our more energy-intensive industries not to operate at peak times, the kind of policy we last saw in the 1970s. It is time for maximum boldness in energy supply. I fully support the Government’s drive for nuclear power, and if reserves of shale can be exploited in London we should leave no stone unturned, or unfracked, in the cause of keeping the lights on. That letter was a response to energy regulator Ofgem’s capacity report which set out that “electricity supplies are set to tighten faster than previously expected in the middle of this decade”. Energy security appears to have become a greater concern to the Mayor since raised by London businesses, and has led to the establishment of a London ‘High Level Electricity Working Group‘ coordinated by the GLA. Whilst security of energy supply issues are a real concern, the Mayor’s choice of solutions are of no real help at all. Nuclear negotiations have stalled over the past year, and even if agreement were reached today, the first power produced by a new nuclear plant is the best part of a decade away – well after the 2015 capacity concerns. Discussions around shale gas have become increasingly polarised: whatever the final outcome, it is unlikely that fracked gas will have any significant role to play in the nation’s energy mix for some time. June 2013: As expected, there has been some response to the Mayor’s ramblings on climate change prediction, made earlier this week in his Daily Telegraph column. Somewhat unexpectedly however, some much needed sense and science has been provided by Tom Chivers, a columnist also on the Daily Telegraph! Read ‘It’s not the Met Office’s fault if you wasted money on a swimming pool, Boris’ here. It’s a gentle response…a little less so that Greenpeace who say “let’s be completely clear – Boris is deliberately lying to Telegraph readers.” Shadow Secretary of State for Energy Caroline Flint MP also picked up on the Mayor’s article stating: “It is a distraction from the main debate, when we have Conservatives like Boris Johnson saying ‘ditch our climate change targets’ – or that’s what they seem to be saying – because it doesn’t take us forward”. The Mayor has recently announced that he will be updating his Climate Change Mitigation and Energy Strategy this summer: from the following statement, it doesn’t appear that he will be addressing the issue of sunspot activity and climate change, an issue that exercised the Mayor earlier this year, but perhaps he will take the Met Office to task over their predictions..? The Met Office have regularly had to respond to correct media reports on climate change – see here: however, it doesn’t appear they felt necessary to respond to the Mayor on this occasion. A full list of runners up can be seen here. Many congratulations to the winners William Hines and Rachel Clemo – further information on their initiative can be found at reseed.co.uk. On the basis of London’s population, when compared with the rest of the country, up to 21% of the £1.3bn ECO fund should be coming into the capital each year. London has however fared poorly under the Government’s energy efficiency obligation schemes to date. Hence, the GLA have been talking to the ‘big 6’ major energy suppliers are are looking to establish a Memorandum of Understanding to help increase the delivery of energy efficiency measures to Londoners’ homes. The GLA are also examining the “niggles in the system” which are hindering progress, such as parking issues for energy companies when visiting homes. The GLA are working with social landlords – who maintain around 800,000 homes in the capital – to identify ‘at scale’ homes that could qualify. Initial work has identified a pipeline of 100,000 properties that could be “early beneficiaries of the ECO”. (for further information see consultancy Verco’s research paper on this earlier post). To channel this work, the GLA are establishing a new Programme Delivery Unit. The PDU will work with boroughs, social housinglandlord and other stakeholders to support and increase uptake of the Green Deal and ECO schemes. Positions are now being appointed for the PDU which should be operational by June. Similar to other Mayoral programmes, such as RE:NEW and RE:FIT, the PDU will establish a framework contract for delivery agents, helping speed up the procurement process for local authorities and other housing providers. A recent presentation by the GLA provides some further background to the new PDU.